441. ARUP MALAKAR: C/O- RITA MALAKAR, KOLKATA-700107, MEMBERSHIP ID: MGI20180441. 442. 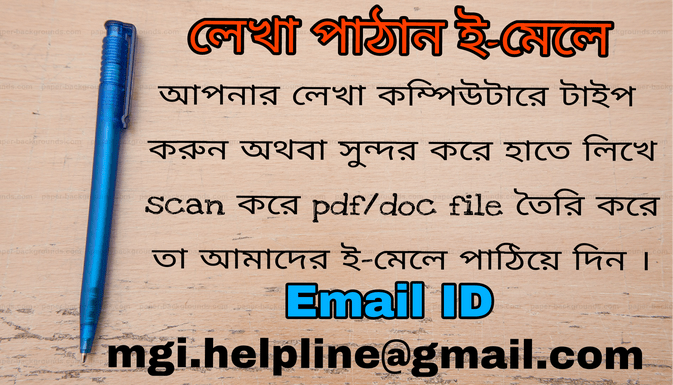 SURAJIT DAS: C/O- RAMGOPAL DAS, DAKSHIN DINAJPUR-733124, MEMBERSHIP ID: MGI20180442. 443. PRODYUT GHOSH: C/O- SUBHASH CHANDRA GHOSH, NORTH 24 PGS-743289, MEMBERSHIP ID: MGI20180443. 444. ACHINTA KUMAR ROY: C/O- SUSHIL ROY, COOCH BEHAR-736165, MEMBERSHIP ID: MGI20180444 (Validity: 3years). 445. SAMARPITA DEY: C/O- KALLOL KUMAR DEY, NORTH 24 PGS-700035, MEMBERSHIP ID: MGI20180445. 446. SAMARPITA DUTTA: C/O- SHYAMAL KUMAR DUTTA, NORTH 24 PGS-743412, MEMBERSHIP ID: MGI20180446. 447. ASHIS PANDIT: C/O- KENARAM PANDIT, PURBA BARDHAMAN-713401, MEMBERSHIP ID: MGI20180446. ●Next Update Very Soon. Please Wait….